Barbarossa was a product of politics and nostalgia. In 1897, the Austrian Languages’ Equality Act tried to put Czech and German on an equal footing. This punished the empire’s German speakers, because while many Czechs already spoke German, few Austrians spoke Czech. Protest demonstrations broke out all over Austria. Living in Graz, which many considered the most German city of the Austro-Hungarian Empire, Hausegger saw the agitation first hand. He was especially upset on one occasion to see a troop of mounted policemen charge headlong into a group of demonstrators. His indignation at the injustice to the German minority led him to thoughts of the Emperor Frederick Barbarossa and past days of glory during his reign. According to legend, Barbarossa and his knights lie sleeping in the Kyffhäuser mountain. As he rests, his beard grows. When it circles the slab upon which he sleeps three times, he will awaken to save his people and land. This tied in with another phenomenon of the time in German culture; a yearning for the Middle Ages. George Mosse in his superb book The Crisis of German Ideology has eloquently detailed this sentiment. Hausegger, like many Austrian composers thought of himself as part of the great German tradition of symphonic music. His thoughts eventually engendered a 50-minute symphonic poem in three movements. Distress of the People has a slow introduction depicting an idealized German landscape. 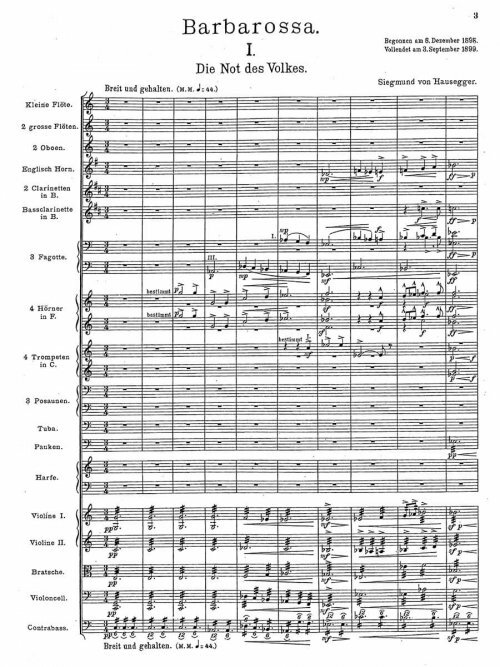 It has many of the most important themes in the work, especially one that will eventually represent Barbarossa’s triumph (4 bars before Cue A). Most of the movement is an allegro in C minor depicting the woes of the German people. 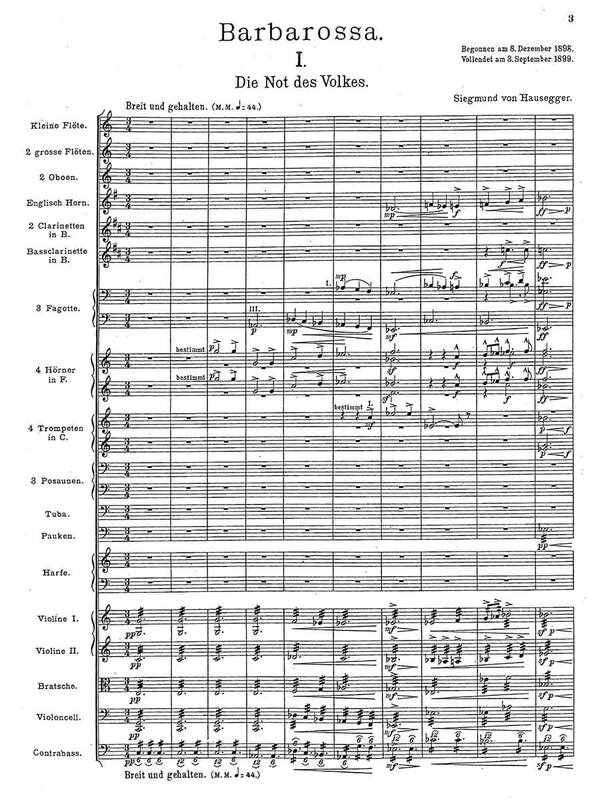 Three especially important themes are a quick-step (8 before E), a descending outcry of lamentation in the woodwinds (G), and an English horn theme of resignation (J). Amidst all this turmoil, the tonality suddenly changes to D major. 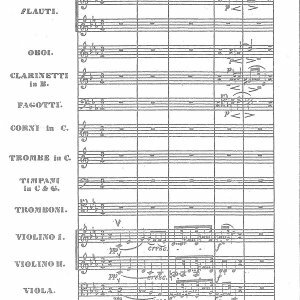 A great calm o’erspreads the orchestra and we hear Barbarossa’s theme – a stately fanfare in the brass (Q). The allegro resumes, with the outcry theme predominant against a Brucknerian counterthrust in the trombones (T). There’s a pre-vision of triumph before the C minor quickstep resumes. That the phrases keep ending on a diminished seventh chord heightens the feeling of despair. The ending of the movement is as abrupt as a slammed door.